On Monday November 7, 2005, The Breukelein Institute once again confered its Gaudium Award upon a quartet of remarkable men and women. Held during its annual fundraising dinner in the intimate and elegant Lotos Club, this year’s honorees are listed below. The Reverend Professor Peter J. Gomes is an American Baptist Minister. 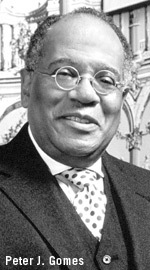 Since 1974, he has served as Plummer Professor of Christian Morals and Pusey Minister in the Memorial Church at Harvard University. Widely regarded as one of America’s most distinguished preachers, Professor Gomes’ best-selling books include: The Good Book: Reading the Bible with Heart and Mind (1996), Sermons: Biblical Wisdom for Daily Living (1998) and The Good Life: Truths that Last in Time of Need (2002) and Strength for the Journey (2004). 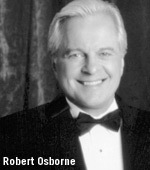 Robert Osborne has been the host of “Turner Classic Movies” since its inception. He is the official historian of the Academy of Motion Picture Arts and Sciences as well as former president of the Los Angeles Film Critics Association. His book, 75 Years of Oscars, has been called “the most comprehensive and definitive book ever done on the subject.” He is a recipient of a Golden Mike for Excellence in Broadcasting and an Emmy nomination for Best Host Moderator. 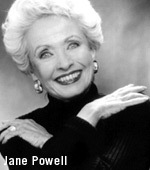 Jane Powell is part of what film lovers call the golden age of the studio system. For 15 years she starred in some of MGM’s most joyous movie musicals. Her performances in Royal Wedding (1951) and Seven Brides for Seven Brothers (1954) exhibit her mature and special gifts. She has set house records for her touring stage performances in classic musicals and comedies. Recently, she was featured singing again in Stephen Sondheim’s most recent musical, Bounce. 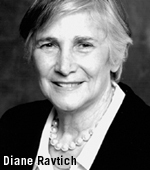 Diane Ravitch is Research Professor of Education at New York University. Dr. Ravitch holds the Brown Chair in Education Policy at the Brookings Institution. From 1991 to 1993 she was Assistant Secretary of Education in the administration of President George H.W. Bush. Among the eight books she has authored, her most recent titles include The Language Police: How Pressure Groups Restrict What Students Learn (2003) and Left Back: A Century of Battles over School Reform (2000).